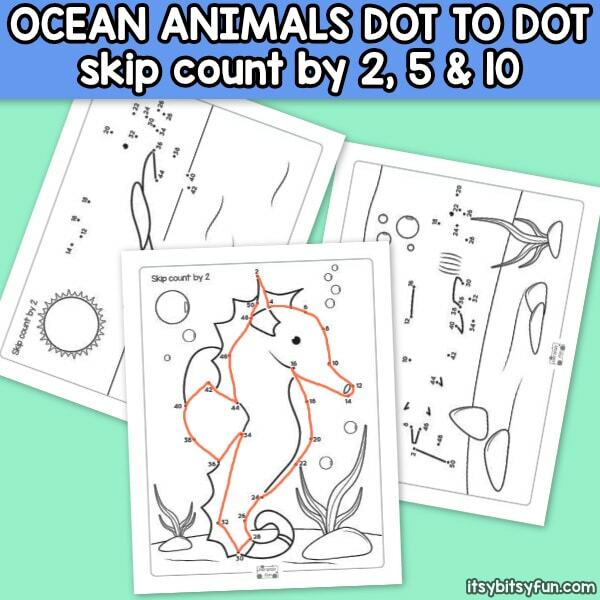 Ocean animals dot to dot skip counting by 2s, by 5s and by 10s worksheets are great practice for basic mathematical skills. 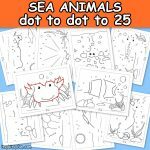 Ocean Animals Dot to Dot Skip Counting sheets are perfect for busy work, homework, or a practice sessions. 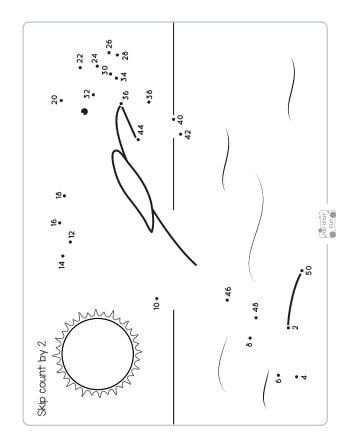 We have all done a connect the dots worksheet before. Watching as a simple line becomes a well illustrated picture is super fun. 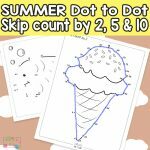 Dot to dot skip counting combines the fun of dot to dot worksheets with the mathematical value of counting worksheets. 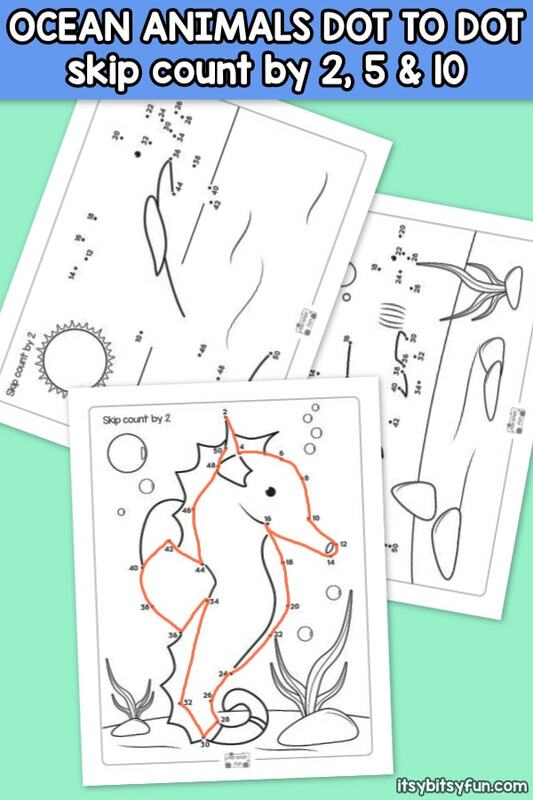 Not only do kids get to apply their mathematical knowledge in a fun way, the aspect of completing an ocean animal drawing keeps their interest. 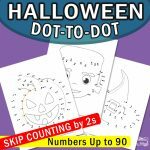 The dot to dot skip counting sheets go by 2’s, 5’s, or 10’s. 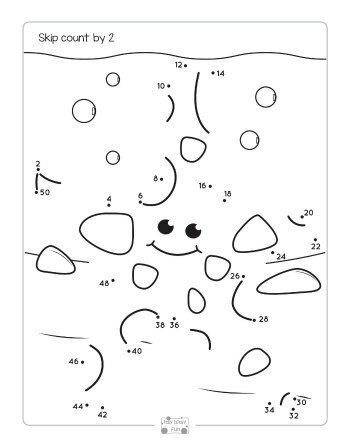 These sheets are excellent if your class is currently studying multiplication. The sheets cover quite a few ocean animals. 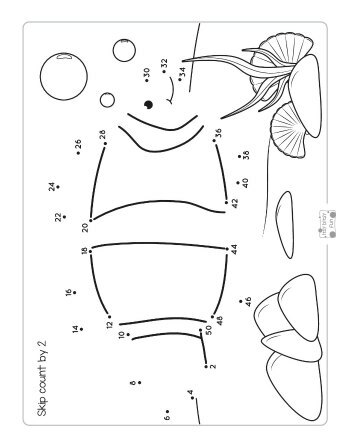 Bellow you see all designs you will get in this printable pack. 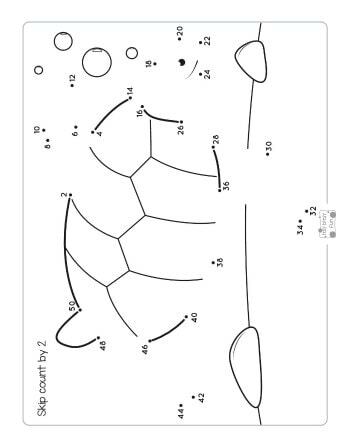 Designs in a skip counting by 2s but in the pack they come in 2s, 5s and 10s. By completing them students effectively work through their times tables. 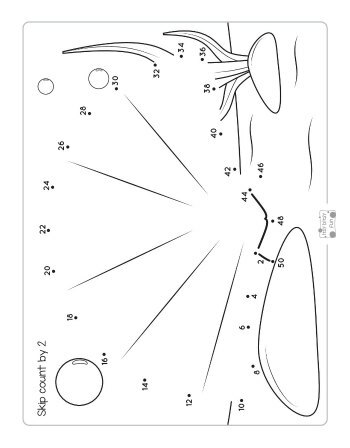 The sheets are also designed to be colored in after completion. 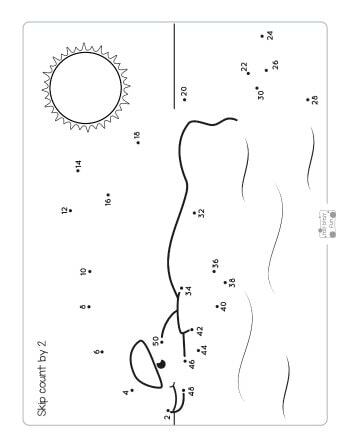 As multiplication takes place usually in grades 2 and 3 this makes the sheets ideal. 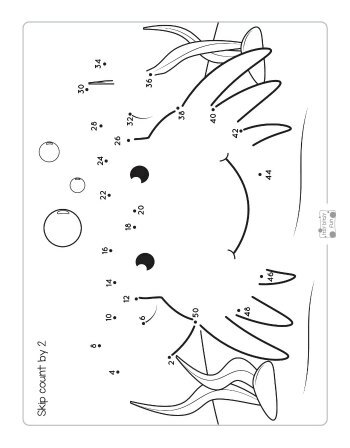 It challenges your kiddos in their area of study, but contains enough engaging creativity to compliment their maturity level. If you gearing up for a test they can be beneficial as study guides. 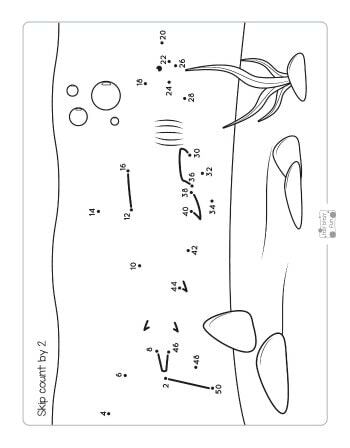 As the sheets are simplistic in nature, they can also be beneficial as special assignments for struggling students. Using the sheets will definitely break up the monotony. They also add just enough fun to be an engaging difference. Through their use application of times tables can become almost a reflex, really impacting the mathematical skills of the class as a whole. 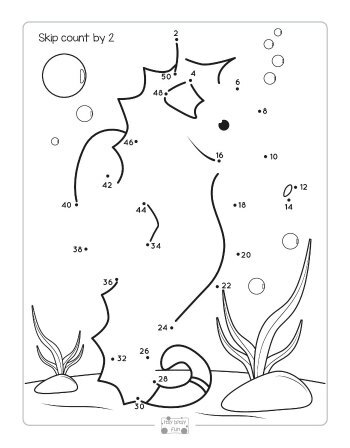 Get your Dot to Dot Skip Counting by 2s Worksheet – Ocean Animals Freebie here. 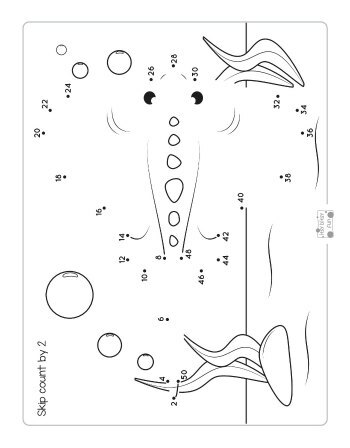 Grab your Dot to Dot Skip Counting by 5s Worksheet – Ocean Animals Freebie here. 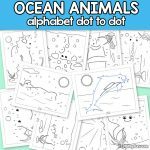 Get your Dot to Dot Skip Counting by 10s Worksheet – Ocean Animals Freebie here.